While residents of over 50 cities in the UK still had hours of recovery from New Year's partying, more than 1,000 young Muslims were on the streets of the cities, cleaning up. 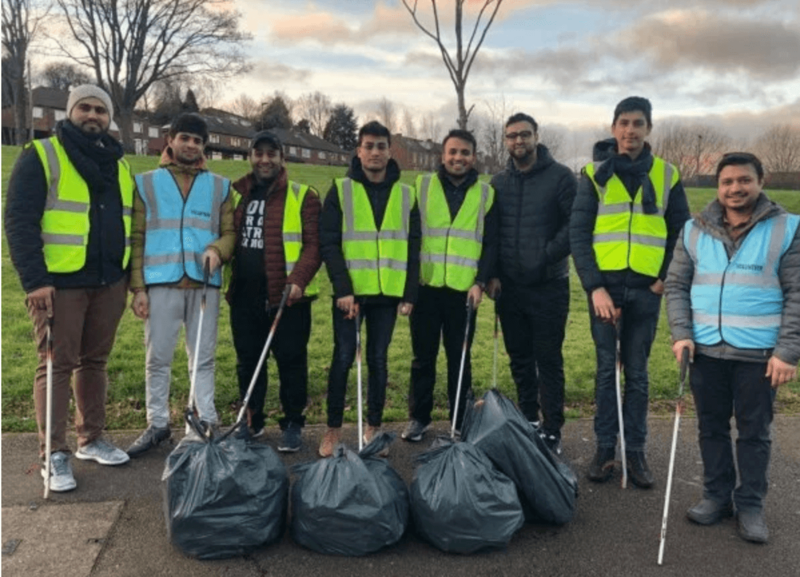 Over 1,000 Ahmadiyya Muslim Youth Association (AMYA) members do an annual New Years cleanup where they go out early and clear the streets of the New Years debris. These young Muslims went out before dawn, shared in a special prayer, and filled hundreds of trash bins with garbage. "Islam urges every Muslim to partake in charitable giving, community service, and promote cleanliness," said British Ahmadiyya Imam Qamar Zafar. "AMYA has and continues to instill young people with a sense of civic responsibility, and a desire to promote harmony within our local communities." "The New Year's Day Clean-up campaign ensures Muslim youth can be active members of society and serve their communities and the environment," Zafar added. In 2018, the group participated in over 300 city clean-ups around the region. Their efforts have gone viral, and people have been extremely thankful for their service. The young community members ensured that 2019 was welcomed with a sparkling city!